for the (heart) of stamping: Global Stamping Friends Blog Hop #16: Festive Celebrations! 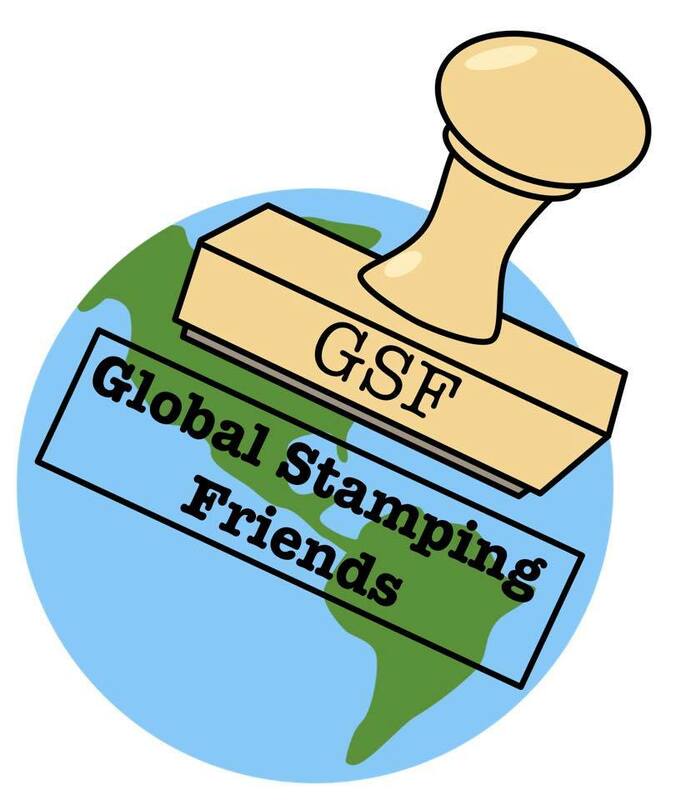 Welcome to the next stop of the Global Stampin' Friends Blog Hop! This one is called "Festive Celebrations". This is my favorite time of year, and also the busiest by far. 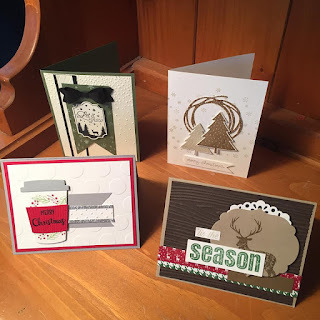 i've done not one, not two but THREE Stamp a Stacks this year, and also My Christmas Club Where we made 3 beautiful cards. I tried to do one for everyone... a little rustic Christmas, a little classic Christmas, a little trendy Christmas. 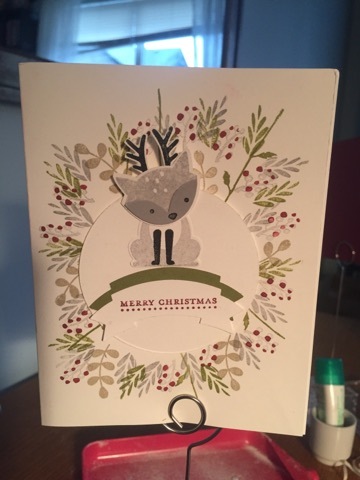 For Club we HAD to use the fox stamp set and make a reindeer!!! I used the folliage from "merry Cafe" and also "Daisy Delights" for the background, and then the sentiment is from teeny tiny Christmas! Lastly we did a shaker card with embellishments from the clearance rack, window sheets, and layered circles. 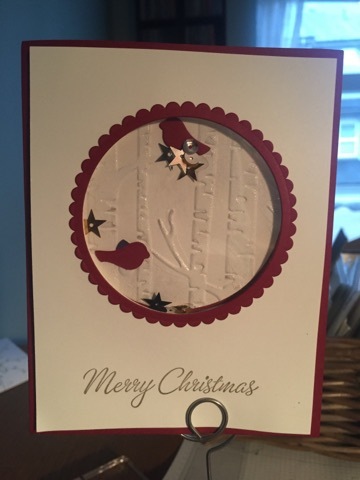 The trees are embossed in white in the background. The only thing not current is the little birds. Merry Christmas, everyone! Thanks for stopping by. Click on the "next" button to see the next hop! Make sure to check out all of the rest of the AMAZING projects from the bloghop! 13. Erica Jones you are here! I love the reindeer, he is so cute. The shaker card is very clever too. Thank You.